Owners were able to accommodate us for breakfast even though we rented an apartment. I loved the cows and watching the chickens outside our window each morning. The grounds and the house are stunning. Pride of ownership is evident .Charming place and I'd return without hesitation. The property has been very well finished. We had selected a mountain view room and did not understand it was a self catering room with a full kitchen so we headed back into Ullapool to get supplies for the evening meal. Our hosts kindly gave us eggs and bacon for breakfast to help. The Highland Cows were beautiful to look at out of our window in the morning, making the visit just that bit more special. The lounge room had two x two seater Chesterfield lounges and a good dining table making the evening more like being at home, a welcome relief when you have been on the road for a while. We had the most fantastic stay here. The hospitality of Chester and his family was incredible and we will definitely be back. The area is really beautiful and Ullupool is just a 10 minute drive away where you can find really high quality food. A really memorable stay for us. Apartment was spacious and everything you could need had been provided. The bed was extremely comfortable and provided a good night’s sleep. 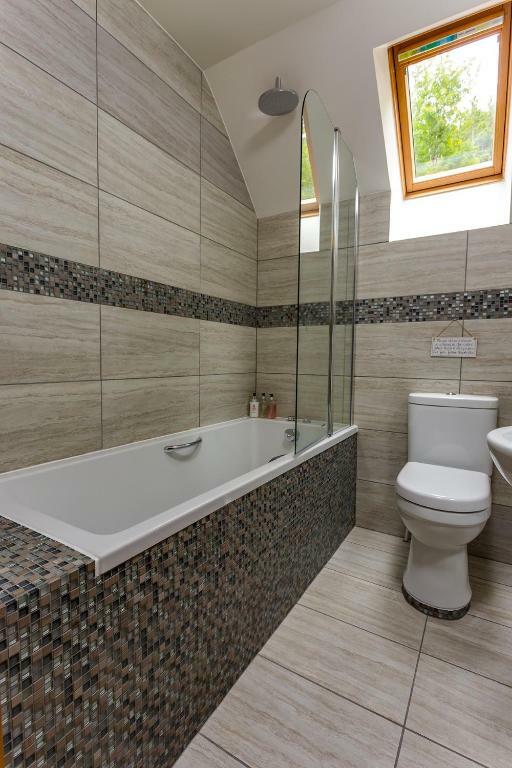 The whole apartment had been recently refurbished, including the bathroom which was immaculate and the bath was enormous! Lisa and Chester were very welcoming and were available if you needed anything. We wouldn’t hesitate to recommend to anyone else and will be staying here again when we return to the area. This was a fantastic place to stay - we were given a warm welcome and the rooms were beautifully designed and very comfortable. The breakfast was plentiful with lots of choice - the cooked elements were delicious. We’d love to stay again if we had the chance! A wonderful and fantastic stay. Everything was just perfect. The owner are very friendly and helpfull. We will come back! We stayed here for 3 days, got a whole apartment with spacious bedroom in addition to a living room with a complete kitchen, including a washing machine. Note that you need a car if you stay here, but this was expected. The next supermarket was 20 minutes away by car. Excellent hosts and a great place to stay. Would certainly stay there again. Close to Ullapool for meals and we were told about the great waterfall to visit. 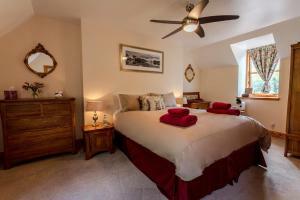 Lock in a great price for Braemore Square Self Catering Apartments - rated 9.5 by recent guests. 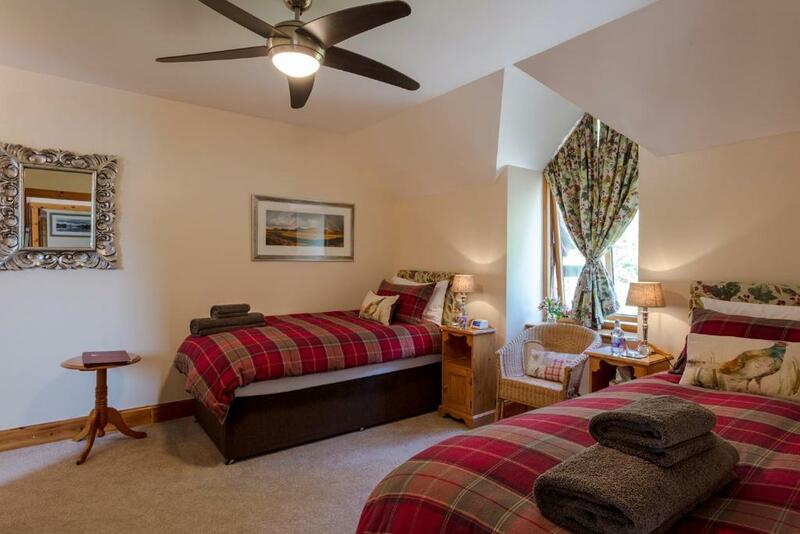 Braemore Square Self Catering Apartments is located in Braemore. Free WiFi is featured. Ullapool is 10.6 miles from Braemore Square Self Catering Apart. The nearest airport is Inverness Airport, 52.8 miles from the accommodation. This property also has one of the best-rated locations in Braemore! Guests are happier about it compared to other properties in the area. Braemore Square Self Catering Apartments has been welcoming Booking.com guests since 9 Aug 2017. When would you like to stay at Braemore Square Self Catering Apartments? This family room features a kitchenette, cable TV and seating area. 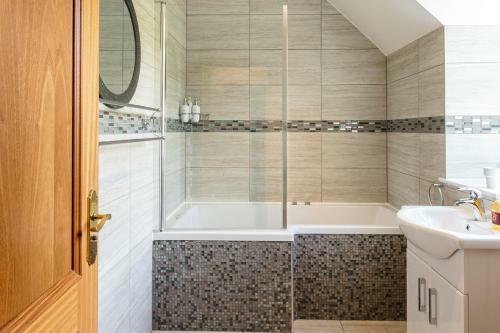 The Stables has an super king size bed, an open plan lounge with fully fitted kitchenette and a bathroom with a bath and shower. 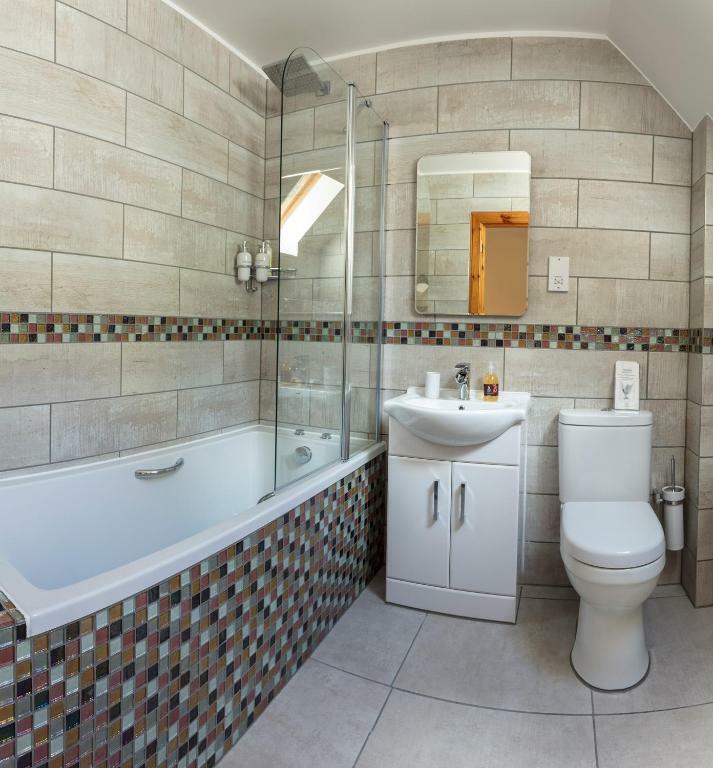 This apartment has an super king size bed, an open plan lounge with fully fitted kitchenette and a bathroom with a bath and shower. This double room features a flat-screen TV and DVD player. This apartment has a DVD player and tea/coffee maker. 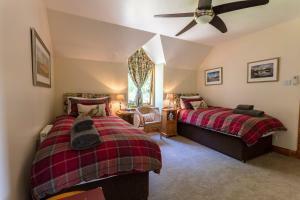 Welcome to Braemore Square Country House, 4 high quality Self-Catering Apartments. 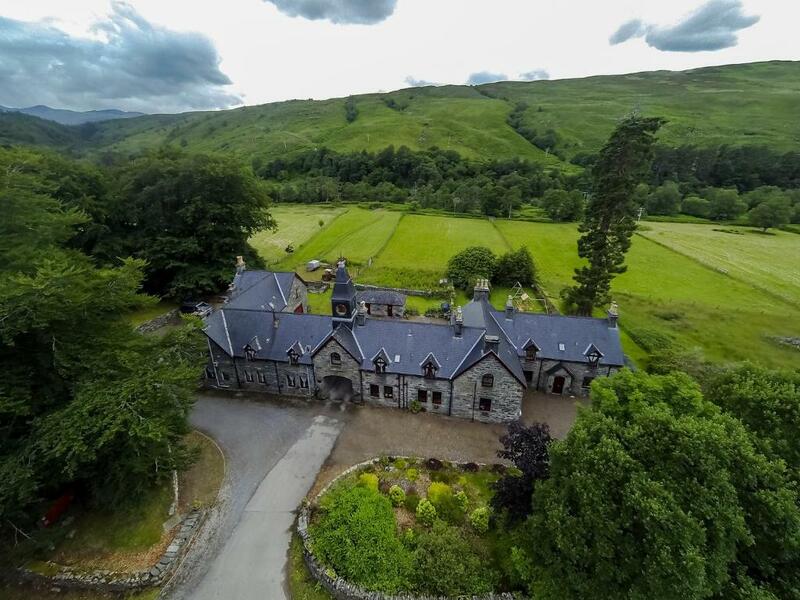 A beautiful former stage post, built in 1840 to tend to the horses facing the arduous climb up and down the rise to Braemore, we have a history of caring for travellers, en-route to Ullapool, Inverness, Gairloch and the West Coast of the Highlands. Offering four self-catering apartments, they are newly refurbished, warm, comfortable, well appointed, tastefully decorated and furnished premises. One mile north of the stunning and historic Corrieshalloch Gorge, and eleven miles south of the fishing village of Ullapool, we offer an ideal location for anyone seeking a base to appreciate the Highlands of Scotland, be it for a romantic retreat, to celebrate a special occasion, or to explore the local environment and Munro's nearby. Our property also includes salmon and trout fishing rights that we offer to our residents. Please take a look around our site and see what we can offer to make your stay with us a pleasant and memorable visit which you will want to return to again and again. Chester and Lisa are your hosts, a South African husband and wife team, we offer varied experiences on the property from Therapeutic Reflexology - booking essential to 'reserve your time out treat', salmon and trout fishing on the grounds and area's close by or deer stalking when in season. These experiences can be arranged at an additional cost and must be pre-arranged before arrival. We have the Corrieshalloch Gorge, 1.5 miles from our front door. This natural beauty attracts visitors every year Please be aware, our property is set on 47 acres of ground for our guests, it is important to mention we are very close to the road. Our windows are double glazed and triple glazed in all bedrooms, most guests love our location but some might not enjoy being close to the road. Our Highland Cows and free range chickens with endless river walks and hidden waterfall, might change your mind. We hope to see you soon. A 'wee' reminder due to our mountainous location, the wifi cannot be guaranteed and we invite you to unplug from the digital world and celebrate the spectacular sights around us. House rules Braemore Square Self Catering Apartments takes special requests - add in the next step! 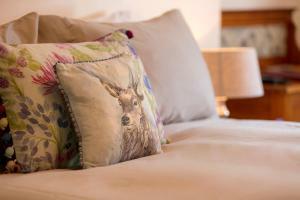 All children under 6 years are charged GBP 50 per night for extra beds. Please inform Braemore Square Self Catering Apartments in advance of your expected arrival time. You can use the Special Requests box when booking, or contact the property directly with the contact details provided in your confirmation. wifi signal is a bit patchy but understandable considering the mountainous location and 3-feet thick wall; also it will be better if the instruction of water heater could be given with a bit more clarity esp. during winter. The country house is just magnificent! Lisa and Chester are wonderful hosts, we had a chance to stay in this house originally built in 1840 and enjoy the great view of the mountains and vast field. The apartment is spotless and very well equipped, breakfast is delicious too. All in all a wonderful and highly recommended place! It felt like home in such a true, simple, and loving way. The homes were arranged in a way that felt intimate like a cozy cabin, but with all of the necessities for daily living. It felt like Lisa, Chester and Adam were family friends inviting us to stay for a week. We had plenty of privacy, clear communication, and lots of fun conversations. We felt at ease during our stay. The view was so gorgeous, and it was so tranquil that some days it was enticing to stay in and play games and music. The location was perfect to go exploring into Ullapool, as well as all of the nature nearby. We loved the gorge, the falls, and we were close enough to check out Inverness as well. We would love to come to stay in the future. WiFi could be better, but considering the location, that might not be possible. I only wish I'd had time to walk along the stream and meet the cows for a photo opportunity. Dinner is a 12 miles back into Ullapool. Since I'd come from that way, I was hoping for something in the area of the B and B. Fantastic friendly owners. We were able to enjoy their farm without restrictions. They provided an excellent breakfast and the view from our room was beautiful. The bathtube was the only bad thing. The property is 15 minutes out of town, which is fine, so make a list of what you need to avoid doing the trip twice. Unfortunately the internet was extremely slow making some urgent business a little difficult. I'm sure they will attend to this in the near future. Everything. Can only recommend this place! Wifi was a little slow but we didn’t need it that much so not an issue. Car park far from rooms, but host graciously accommodated us by opening the house gate to allow us to unload our heavy suitcases closer to the house. Wifi needs improvement, maybe installing a repeater? Especially because there is no LTE coverage.